The Multiplex 10 USB card is now available from the Multiplex 10 Cinemas Store! (Multiplex Books Two and Three are on sale, too.) Experience the Multiplex 10 short in 5.1 Surroooouuuuunnnnnd Soooouuuuund. Please subscribe to the Multiplex 10 channel on YouTube! It’s a free and easy way to lend your support to the web series by helping us convince sponsors to support it, as well! AND you can get notified when the next episode goes up! If everything goes according to plan, the Multiplex 10 short will be available from Amazon (for rental and purchase) next week! 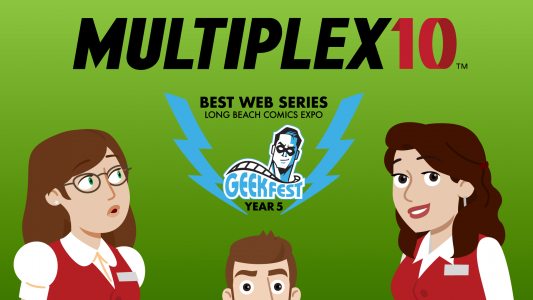 Multiplex 10 is now an AWARD-WINNING animated short!